The mission of the Teaching Center at the University of Florida is to empower students to become successful lifelong learners. 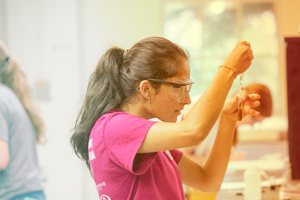 Through a variety of services and instructional approaches, the Teaching Center seeks to help students master effective ways of learning for different disciplines. Services include, but are not limited to: walk-in tutoring, facilitator-led group study, and College-Level Examination Program (CLEP) administration. The mission of the Career Resource Center (CRC) is to offer students (and, where appropriate, alumni) a broad range of assistance designed to provide the best opportunity for career employment upon graduation. The CRC offers services including, but not limited to: researching and matching labor market indicators that best correspond with learned academic skills, work experience, and personal attributes; resume writing; and developing interview techniques. This resource may be especially lucrative for veterans seeking to translate military job experience to the civilian workforce. 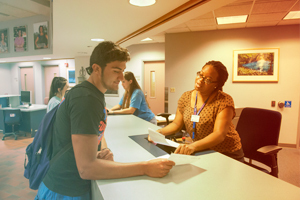 The mission of the Counseling and Wellness Center (CWC) at the University of Florida is to facilitate the total development of students by reducing psychological problems and distress by enhancing mental health, well-being, quality of life, and optional functioning, through the delivery of high quality, culturally sensitive services to UF students and the larger campus community. The primary focus of the CWC is on providing brief, confidential counseling aimed at helping students succeed academically and interpersonally. The Disability Resource Center (DRC) offers a variety of academic accommodations for students on campus. 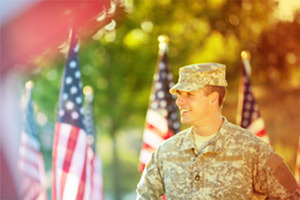 Both veterans with and without service-connected disabilities may qualify for accommodations. The DRC is the central point of contact for these accommodations, and strives to provide quality services to students with physical, learning, sensory, or psychological disabilities, to educate them about their legal rights and responsibilities so that they can make informed decisions, and to foster a sense of empowerment so that students can engage in critical thinking and self-determination.